This is the continuing saga of the Fisker Automotive Company’s attempt to grow its American line of electric plug-in cars. It seems to some, myself included, that it may never happen, or at least not on the scale that we have been led to believe is possible. This story is especially important to Delaware tax payers, since our Governor, Jack Markell has managed to get the tax payers on the hook for subsidizing Fisker’s promise of building cars here in the First State. Though up till now, not a single car has been produced in Delaware, and it doesn’t seem likely that any ever will be. Even though the state has spent millions, and promised millions more, somewhere in the neighborhood of $21 Million in all, along with the federal government promising even more as well. It was announced today that the co-founder and executive chairman of Fisker Automotive, Henrik Fisker, will be leaving the company, due to what was described as “several major disagreements” about business decisions. This comes on the heels of another ground shaking announcement in February that the Zhejiang Geely Holding Group of China had made a bid of $200 million to $300 million to acquire a majority stake in Fisker Automotive. This is the same group that bought Volvo for $18 Billion. This post is titled Pt. 2 because I wrote an article of the same title not so long ago, describing how the Fisker deal with the federal government and the state of Delaware came into being, it also described the venture capital company that was in charge of raising capital for the venture. The article described how these venture capital companies often set up the deal to look attractive to private investors, by having other companies invest first, and also government funding makes the deal look as if it comes with some sort of guarantee. Often these deals are little more than a pyramid scheme, where the first investors are the first to be paid off and the last investors, or the last sucker in, get stuck holding an empty bag. And in the case of the government funding, well the tax payers pay the money and no one gets paid if the venture goes broke. And in this case the venture capital company was one named, Advanced Equities, and they had an amazing track record for failure, even though our governor and his administration failed to notice this. Okay! That didn’t take very long, you must be a fast reader. So now that you know how the pay off goes in these types of deals, and since it looks like the end is near for any chance of Fisker ever building cars in Delaware, it would look to me as if Mr. Fisker is bailing while he can, and taking his golden parachute and leaving. I am sure we will be hearing more of this as the days pass, we will hear that the plant at Boxwood Road near Wilmington will never see a single Fisker roll off the line, and that the millions spent to entice the company to come to Delaware is just so much wasted money. 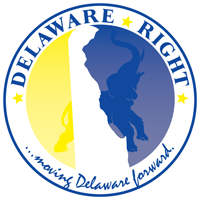 The tax payers of Delaware were just another sucker sold a bill of goods, and Jack Markell was the salesman. Thanks Governor.